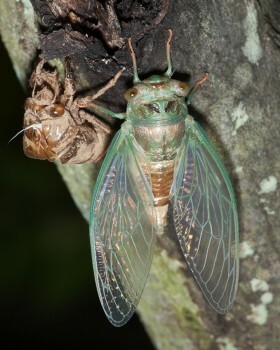 Dog-day cicada with mouth parts inserted into the tree’s bark. 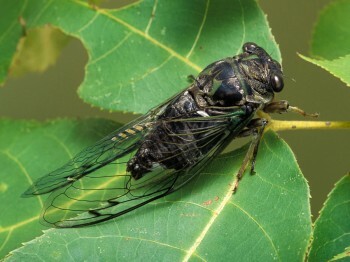 Grotesque and frightening in appearance, cicadas do not bite and are actually harmless to handle. 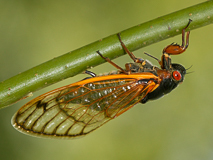 They are members of the order Homoptera, close relatives of the aphids and leafhoppers. 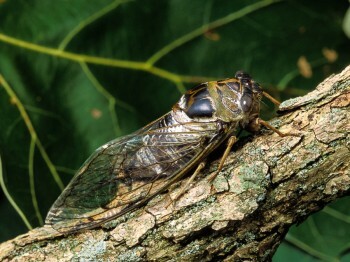 Most cicadas, including all of our eastern species, are excellent fliers and spend their adult lives high in trees, where they are difficult to see. Some species, however, frequent city parks and woodlots, and injured specimens may sometimes be found along sidewalks or on window screens, or else cats may catch them and bring them home. Cicadas are also drawn to bright lights at night. 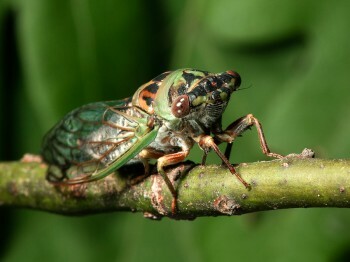 Unlike crickets and kaytids, which do well in captivity, cicadas usually die within several days and should not be kept as pets. 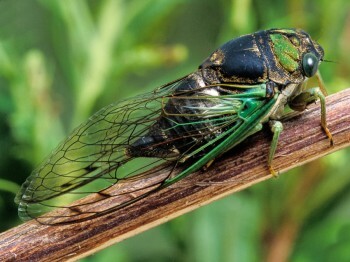 While some cicadas can be recognized at a glance, others look very much alike and are best identified by their loud songs, which people notice, even if they don’t know they’re being made by cicadas. 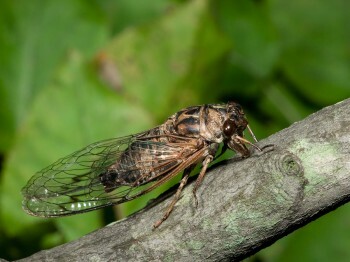 There are lots of cicadas in North America, about 155 species represented by fourteen genera, although most of these are western in distribution. We cover thirteen species in this guide (in four genera) and include the common species most likely to be heard in the East. Starting intrathecal baclofen wellbutrin xl online pharmacy therapy involves surgically implanting a pacemakerlike device.. 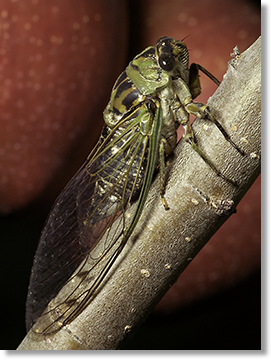 Annual cicada having shed it’s last juvenile exoskeleton and now drying as a newly emerged adult. 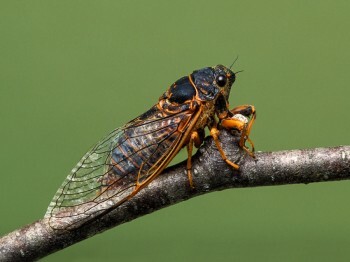 The typical cicada life cycle lasts many years. 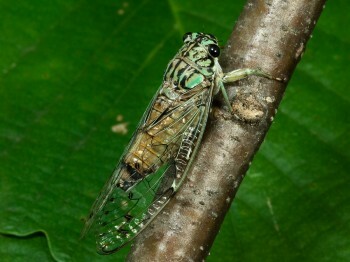 Females generally lay eggs in the bark of limbs or twigs. The eggs hatch into tiny nymphs that fall from trees and then burrow into the ground, where they feed on roots. 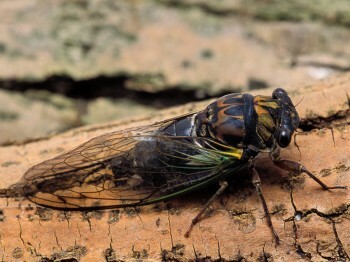 The nymphs remain underground for a number of years, growing steadily and shedding numerous skins. Finally, they emerge from the ground, crawl up tree trunks, and then shed their last skins to become adults, leaving their nymphal cases attached to the bark. Over most of our region, emergences begin in midsummer. 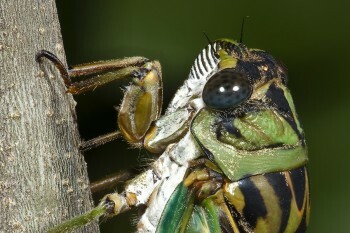 Adults live only about a month, feeding on plant juices, which they obtain by inserting their piercing and sucking mouthparts into the bark. Male cicadas have loud buzzing songs that are produced by special organs called “tymbals,” located on the first segment of the abdomen. Most species are easy to identify by song. A male’s song attracts females and may also serve to attract other males, especially in those species that form noisy mating aggregations. 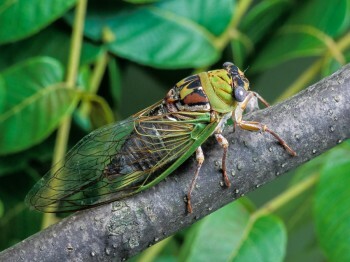 Nearly all of our eastern cicadas are of the annual type, meaning that adults emerge every year, although some years may yield greater numbers than others. 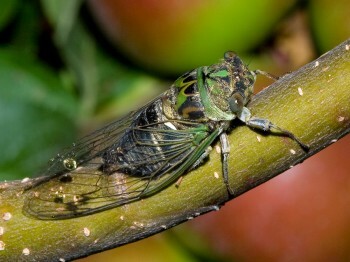 In other words, the life cycles of individuals within a population are staggered, so that there are nymphs emerging as adults every year. 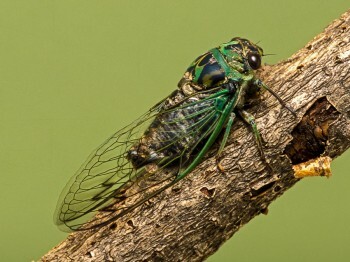 In contrast, the “periodical” cicadas have populations in which all individuals are synchronized in their life cycles. 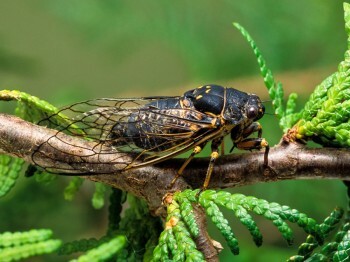 The example we include in this guide is Linnaeus’ 17-year Cicada, in which individuals in a population emerge all together just once every seventeen years. A piercing whine heard in the heat of the day . A high-pitched whine lasting about 15 seconds. Pulsating buzz sounding something like a saltshaker. Similar to Linne’s but smooth, without the pulsations. A heavy pulsating drone as the sun sets. Laborious raspy buzzes from trees in the afternoon. Loud, buzzing with pronounced pulsations. First to sing in the morning. Crescendoing buzz. Extended rattling trill from bottomlands. High-pitched dissonant drone heard all day. Extended, cricket-like trill from evergreens. A loud droning heard mostly in the morning.